My background is in coding, web development and IT consulting – but in 2014 I decided to try to make a computer game. As a kid I experimented with game development on my 8-bit micro – a Spectrum 48k. 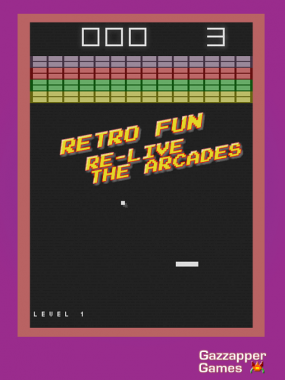 The surge in Mobile Gaming reminded me of the Bedroom Coder scene from the 80s, and so I wanted to try to create a mobile game in the style of the old 80s arcade coin-op classics. I managed to do it, and now have an little indie game dev studio called Gazzapper Games with over dozen arcade games on Android with 4 million+ downloads to date. In 2015, I was on a Facebook group for retro gaming, and I posted my version of Flappy Bird, written in Sinclair BASIC. I just posted the listing in plain BASIC code – I wanted to how many, if any, users would type in the code and try it out. Numerous people tried it and many told me they enjoyed it! One user said his daughter loved Flappy Bird and jumped at the chance to code it – so he was delighted that she actually tried to do some coding. As it was only 99 lines long, they typed it in together, on a real ZX Spectrum 128K, and it worked first time. Seeing that people enjoyed coding in short bursts, I then decided to write a book to help beginners to learn to code simple games – using my experiences, but I wanted to make it a little different to the other books already out there. I thought that the simplicity of BASIC would work well for beginners and allow them to feel confident with the process. Sinclair BASIC was ideal for retro fans that either never got round to coding, or wanted to introduce their kids to coding. 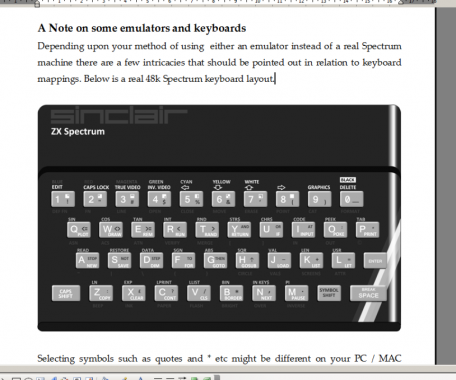 Sinclair BASIC is fun and not at all daunting. 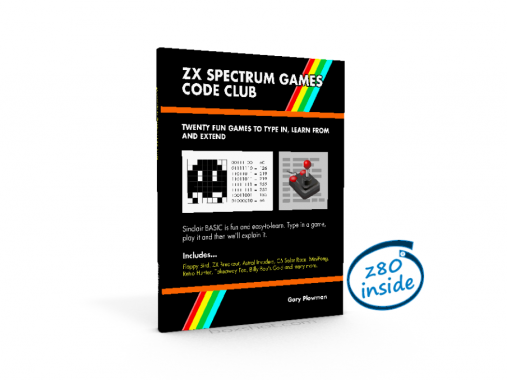 My first book was called ZX Spectrum Games Code Club. It has twenty games (specifically written for the book) in the form of code listings to type in. Each one can be typed-in within 30 to 60 minutes. It was quite popular with fellow Speccy owners, past owners and retro gaming enthusiasts. I wanted my next retro book to be a story-based nostalgic trip back to the 80s! 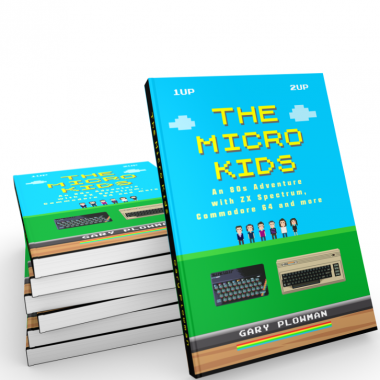 The idea for The MIcro Kids started over a year ago – I had it partially written before some friends and I, attended a large Retro Gaming event. I could see the there was a huge community of retro gamers and that gave me the push to continue with the project – I wrote it mainly for myself, as something I would enjoy reading. I had read Jordan Mechner’s books about The Making of Karateka and Prince of Persia, and I enjoyed them a lot. 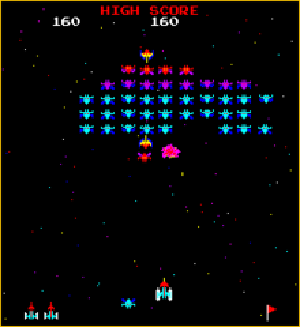 They were based around his Apple II development before the launch of his first two hit games. I wanted my book to be a mix of memoir, gaming and an adventure – so that it would be different to the photo-based retro books. I wanted to remind people about when they got their first micro and how it felt. It’s about getting your first micro and all that entailed – the joy of playing your first games! I wanted to invoke the memories of the 80s era during the micro boom. Also the nostalgic TV shows and music of that period. Visiting your first Computer Store, buying computer magazines, copying games at school, encountering bullies and riding Chopper bikes! The story is mainly around the ZX Spectrum micro, but there is also love shown for the Commodore 64, Atari 800XL, Amstrad CPC, BBC Micro, Oric-1, MSX, Dragon and Tandy TRS80! Feedback so far is very positive with people telling me it transported them back to their micro days, visiting WH Smith and their local independent computer store. And they enjoyed the story! ZX Code Club was my first book – but I have been writing short stories for a number of years. I think it was Breakout cocktail cabinet, in my parents local pub – I was probably <10 years old! They plonked me there on a small stool, it used an analogue dial knob to control the paddle. Pub patrons would sit and play with their pints plonked on the cabinet – I had a pint of glass of Fanta. I have a soft spot of Amiga too – but my favourite will always be my ZX Spectrum either the 48k or 128k. My favourite console is Atari VCS 2600 – I love that it relies on pure gameplay, as the graphics weren’t great – back then I thought those guys were magicians! The newest I have is the XBOX 360 – I have not jumped onto the ONE, yet.